Russian-terrorist troops in Donbas continue to actively fire at the positions of Ukrainian troops and civilian objects, using 120 mm mortars, 122 mm and 152 mm artillery, BM-21 “Grad” MLRS, and armored vehicles. The terrorists are no longer camouflaging the movement of armaments to their positions. The militants’ artillery units and armored vehicles march openly in the daytime, take their firing positions, and fire directly from “the first line [of the front].” During the last 24 hours, Russian-terrorist forces were especially active in the area of Donetsk and south of the city, as well as in the coastal areas. 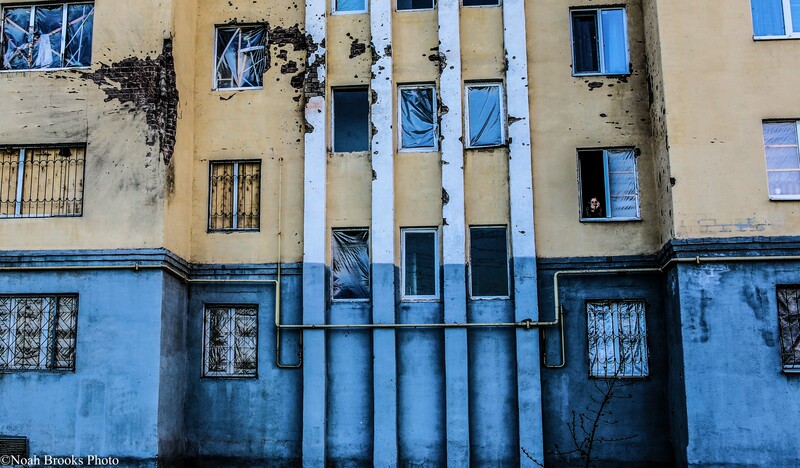 In particular, militants carried out artillery and mortar fire on landmarks and targets near Avdiivka (specifically, precision fire was conducted in the northern outskirts of the town and at the Avdiivka Coke [plant]) over the last 24 hours. Fire strikes from 120 mm mortars and BM-21 “Grad” MLRS were made on the positions of the ATO forces and civilian targets in the area of Opytne. In addition, attacks were carried out on the positions of Ukrainian troops between Kamyanka and Vesele, [settlements] north of Avdiivka. A short fire raid from 122 mm artillery was carried out on the northern outskirts of Novhorodske. Continuous terrorist fire attacks from small arms were observed in the area of ​​Mar’inka – Krasnohorivka; in this area, the enemy also used 82 mm mortarts and AGS-17 automatic grenade launchers. In the vicinity of Starohnativka, Novohryhorivka, and Hranitne, terrorists carried out active artillery shelling during the past 24 hours, making repeated fire strikes on the advanced positions of Ukrainian troops using 122 mm and 152 mm cannon artillery. Two militant artillery groups are operating in this area, each group is three batteries in strength; the IR group earlier reported about their concentration in the vicinity of Starolaspa and Krasnopillya (north of Telmanove). North of this area – towards Petrovske – Bohdanivka, terrorists have made three consecutive volleys from 152 mm artillery on the advanced positions of the ATO forces located in tactical depth. Two enemy artillery batteries were observed (overall, 10 weapons, half of them were ACS 2S3 “Akatsiya,” transferred earlier from Starobesheve). In the area of Mykolaivka, Chermalyk, and south of it, militants have actively employed several mortar units (both 82 mm and 120 mm mortars). 122 mm artillery was used to carry out fire strikes on the ATO forces’ positions in the vicinity of Orlivske, Lebedynske, and Pavlopil. Terrorists have actively used armored vehicles in several sections [of the front] (mostly armored fighting vehicles (AFV), predominantly BMP-1 and BMP-2). In particular, in the area of Pisky, two BMP-2 fired at the advanced positions of the ATO forces using their on-board weapons (30 mm automatic cannons) from camouflaged positions. North of Chermalyk and in the vicinity of Bila Kamyanka, fire strikes were made on the advanced positions of the ATO forces from a BTR-80 and BMP-2; attempts to destroy Ukrainian troop outposts were also made using the precision fire of 125 mm on-board tank canons. In the Artemivsk area, near the settlement of Luhanske, enemy tanks actively maneuvered in the first line under cover of 120 mm mortars, but only fired several single shots. Militants used two BMP-2 and 120 mm mortars on the stretch between Dacha and Zaitseve. In the area east of Stanytsia Luhanska (behind the settlement of Syze), militants shelled the advanced positions of Ukrainian troops from 152 mm artillery, and 120 mm and 82 mm mortars. 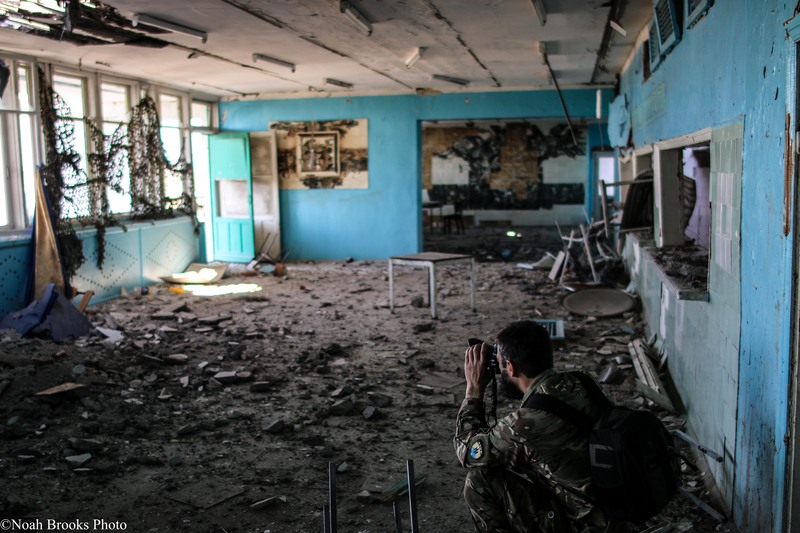 Mortar fire was also carried out on targets near Staryi Aidar and Trokhizbenka. Militants heavily used AGS-17, RPGs [rocket-propelled grenades] and ZU-23-2 [howitzers] to fire on the positions of Ukrainian troops in the area of Orikhove – Krymske (including Novotoshkivka). Militants continue active implementation of “a set of measures” aimed at “repelling” a mythical “offensive by Ukrainian troops.” The IR group has observed the arrival of two new terrorist battalion tactical groups “in the first line” [of the front]; [these groups] comprise mechanized infantry battalions reinforced with tanks and artillery. According to our data, another four battalion tactical groups are currently at various stages of preparation (one of them is being formed around a tank battalion). In addition, a motorized infantry company of militants (about 90 personnel) has been transferred to the area of Debaltseve for reinforcement; it is accompanied by 4 tanks and 11 ACVs [armored combat vehicles]. In addition, the company includes two 2B9 “Vasilek” mortars, a significant number of anti-tank weapons (RPGs and several anti-tank guided missile systems). This unit has an extremely low level of discipline and mismatched uniforms. Using the Bakhmut highway, the enemy transferred a four-cannon battery of 2A29 (MT-12) “Rapira” anti-tank guns, accompanied by a BRDM-2 and two BMP-2 armored vehicles, towards the settlement of Zholobok. This translation work is licensed under a Creative Commons Attribution-ShareAlike 4.0 International License. The rights pertaining to the original work remain unaffected. This entry was posted in Dmitry Tymchuk, English, English News, Pictures, South&Eastern Ukraine, War in Donbas and tagged #FreeAfanasyev, #FreeKolchenko, #FreeKostenko, #FreeSavchenko, #freesentsov, #Information_Resistance, #RussiaInvadedUkraine, #StopRussianAggression, #UkraineUnderAttack, ‪#‎FreeDegermendzhy, ‬ ‪#‎FreeChiygoz, Dmitry Tymchuk, Donbas. Bookmark the permalink.